Given that it can quite literally make or break a production, the value of a good shooting schedule cannot be understated. Herein lies the rub: whether you’re working on a summer blockbuster or a $500 short with a couple of friends, planning a shooting schedule will not only save you a lot more time than you put into it, but it’ll also make the experience a whole lot easier (and, ergo, more enjoyable). You probably don’t have the luxury of a three-month shooting window. 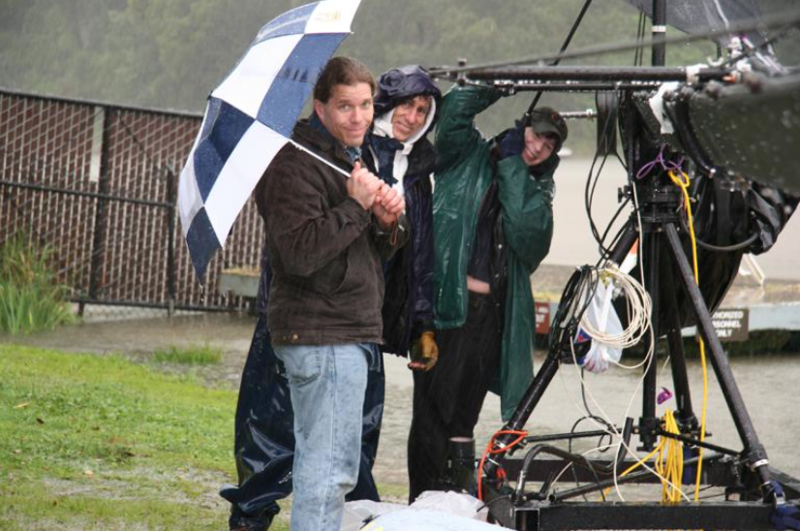 If anything, the more pressed for time you are, the more you need a shooting schedule. Don’t make the mistake of heading out to set determined to work it out as you go. A good shooting schedule will reflect in the quality of your finished production, so here’s a helpful guide on how to implement one. For the purposes of this post, we’re going to go ahead and assume you’re scheduling for a short or feature film (though much of the advice applies to TV scheduling too). You’re busy. Your assistant director is busy. The sound guy is busy. The cast are all off on other jobs. We understand it. You’re busy. All the more reason why it’s imperative to try and get as many of the pre-production staff as possible into an initial meeting, where you can discuss scheduling. And yes, this meeting in itself can be a feat of scheduling! The aim here is to cut down on the amount of information you’ll have to relay to people not present for the initial meeting. There’s nothing worse than setting a preliminary schedule only to have to start from scratch when you later find out the cinematographer is unavailable for your proposed shooting week. ShotPro ($40) – more for pre-visualization than scheduling, but this will help you tie together your workflow ahead of the shoot. With as much of the pre-production crew in one place and a blank calendar in front of you, it’s time to start … but where? From the bottom up. Start by “lining” the script. Go through every single line of the screenplay and mark down every actor, extra, prop, costume, vehicle and special effect you’ll need, then compile that information into one long list. From here, the next logical step is to transcribe your list onto breakdown sheets. 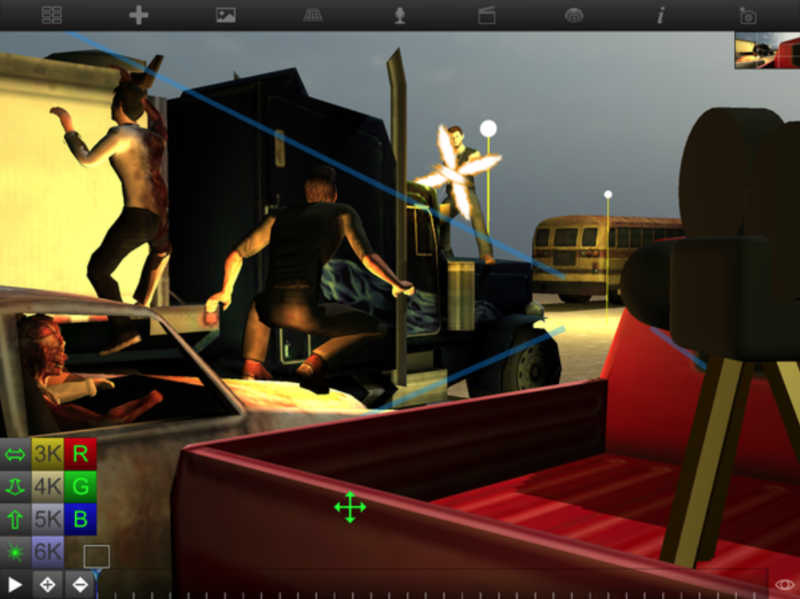 These are key items in the planning process, giving you an at-a-glance look of what is needed for each individual scene. Breakdown sheets are fairly self-explanatory and easy to fill out. And as luck would have it, we’ve got a breakdown sheet template you can download! 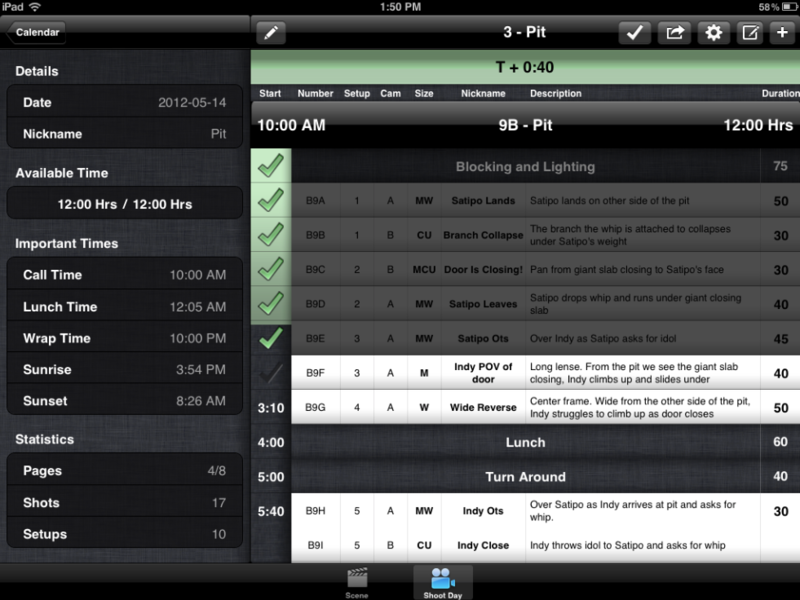 With a breakdown sheet for every scene, you can begin organizing the shoot itself. Start by grouping together scenes that can most easily be shot back to back, in one location. Disregard the chronology of the script; very few productions film in order from the beginning of the screenplay to the end. It’s all about efficiency. 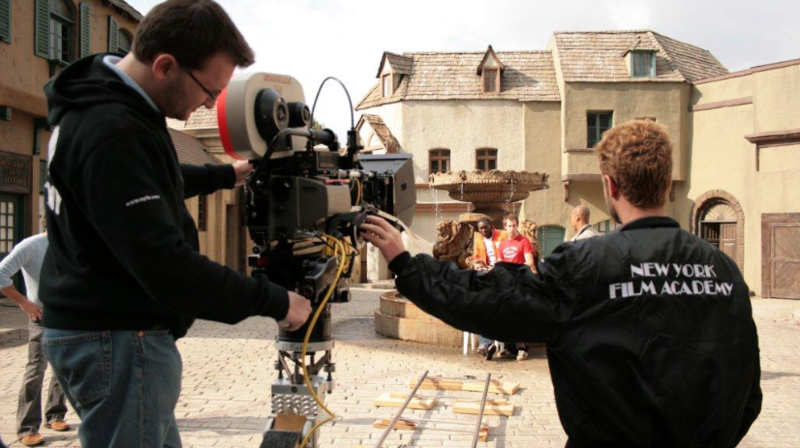 Another golden tip is to aim to do all of your exterior scenes, as well as anything involving extensive special effects or crowd work, at the start of the shoot. If the weather conspires against you or anything else goes awry, you’ll be able to reschedule for later on. Leaving exteriors to the end of your shoot schedule is a sure way to tempt fate. Be prepared to cut shots, too. While you should try and shoot scenes from multiple angles wherever possible to give you extra options in the editing suite, don’t be under the illusion that you’ll have time to shoot everything on your storyboard. Always be on the lookout for things that can be sacrificed. It’s a rule that has served many a filmmaker over the years: whatever time you think you need, add 10 percent. That applies to the number of days on the schedule and to the length of each individual day, because there’ll always be something that crops up: setting up or breaking down the set taking longer than expected, a sudden rain cloud halting production for half an hour, an actor wanting to experiment, or simply forgetting to budget time for lunch and breaks! Scheduling a film shoot can seem like a herculean task, but tackling it one little bit at a time will help you conquer the dragon with as little headache as possible. Best of luck, and don’t forget to offer your own advice learned along the way in the comments below!